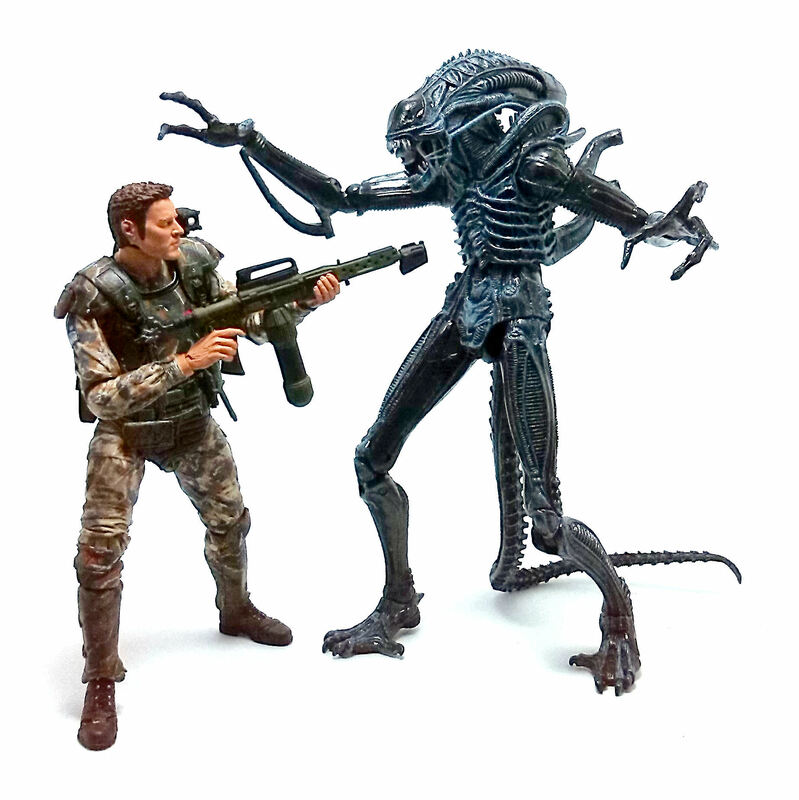 You may be surprised to learn that there was no mention of Sergeant Craig Windrix anywhere in the Alien mythos, be it movies, books or even comics. The reason for this has ties with real world issues that involve a brother’s devotion to an ailing sibling. The Sgt. 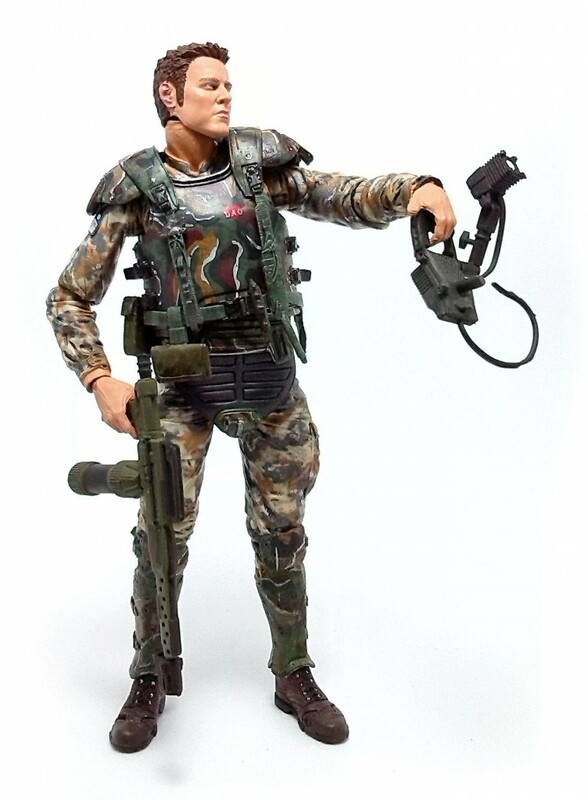 Windrix action figure was developed by NECA as an homage to sculptor Kyle Windrix’s brother Craig, who got to see the finished figure but passed away some time later in 2014 due to a very aggressive form of cancer. 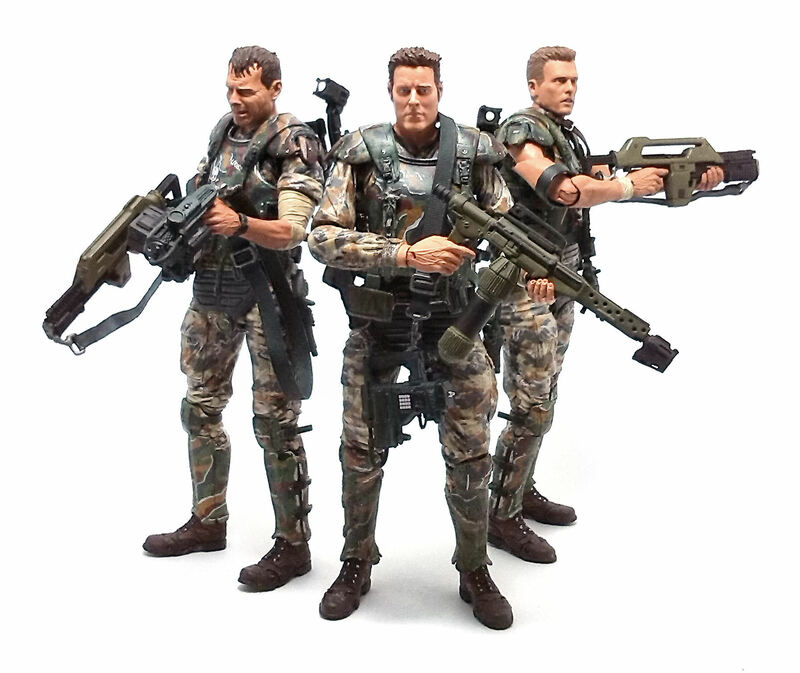 The action figure has a unique head sculpt obviously, but also has new, fully sleeved arms sculpted on, which I’m sure would serve to produce some more of the marines that did appear in the Aliens movie. Other than the arms, Sgt. 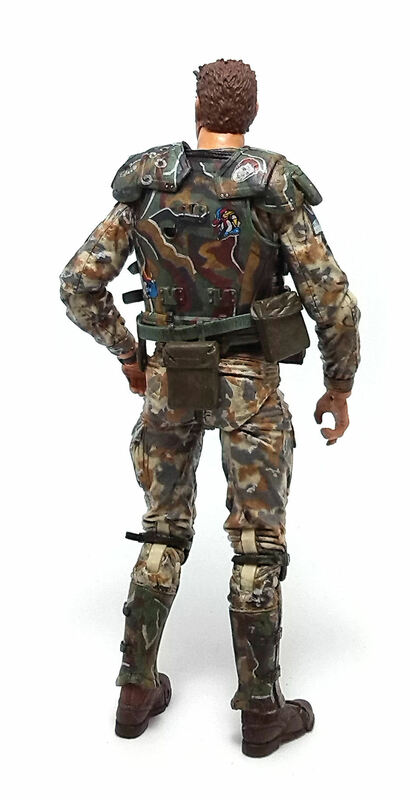 Windrix’s uniform shares a lot of pieces with both Hudson and Hicks, although most of the extra pieces of gear are glued onto the harness in the same spots as Hudson’s. The pliable plastic attachments allow for a great dynamic range and the joints on my figure are firm enough to hold a good number of poses. The camo on Sgt, Windrix’s uniform uses the same color palette as the other CM’s, just applied in slightly different pattern. The body armor shows personalized deco in the form of colorful patches (each of particular significance to the late Mr. Windrix and his family) painted on chest and back armor plates, as well as flags and other insignia applied onto the uniform. The paintjob on the face is very good, with a vibrant skin tone, clean, sharp eyes and well-defined hairline. Sgt. Windrix comes armed with a new weapon to this line, the infamous flamethrower. In addition to this weapon, Windrix also has a cutter/welding torch accessory, a Motion Tracker device and the same light/vidcam pack that Hudson had. 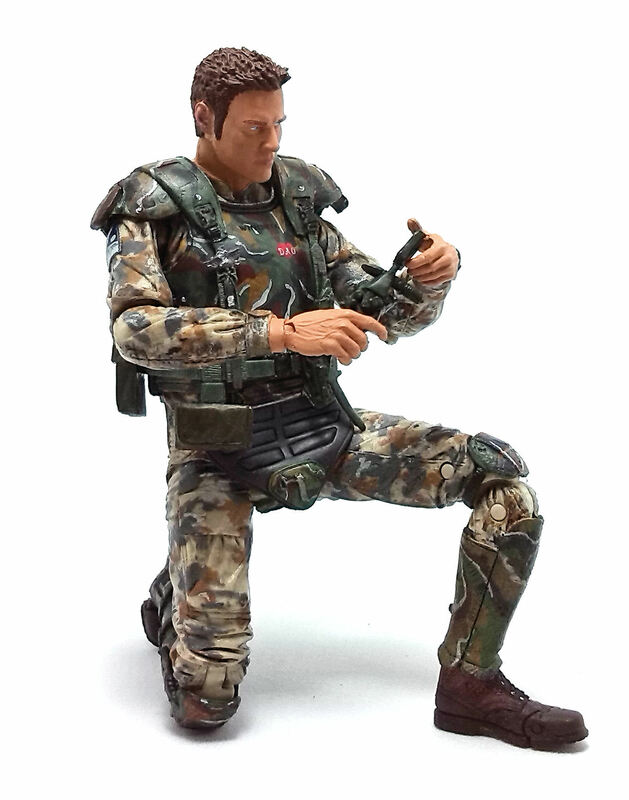 The Sergeant Windrix action figure turned out to be a really nice addition to my Aliens shelf and even though the story behind it is rather sad, I think it is not a bad way to be remembered.